Bill and Sharon’s Packard Super 8 1204-858 was delivered to its new owner by Packard Chicago. A breath-taking metallic gray, 139 inch wheelbase, 150 horsepower, 4920 pound, $3200 Packard with a passenger compartment for 2 people. As a benchmark, a new 1935 Ford V-8 Deluxe 3 Window coupe held a list price of $570. First in Class 3A; Nat’l Packard Club Meet (397 out of 400 points). 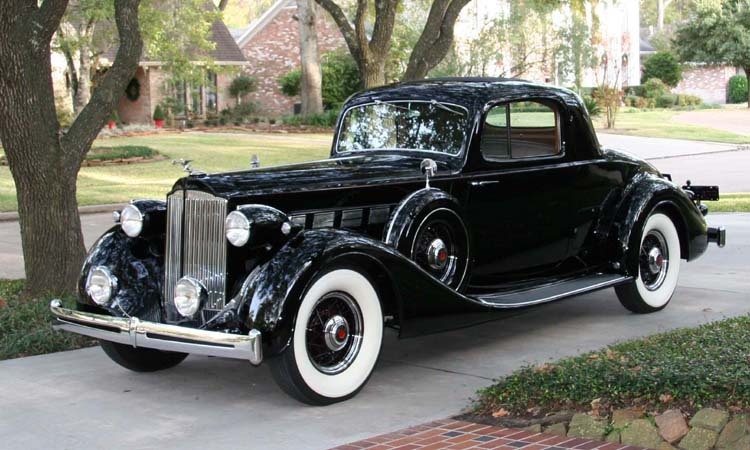 A great Senior Packard hand built by craftsman and recognized by all as a really unique classic beauty unmatched by today’s high price point mass-produced cars.